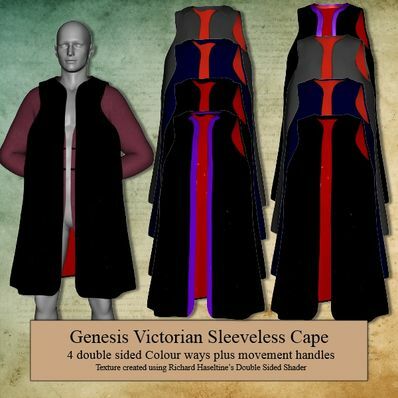 A Victorian Sleeveless cape for Genesis for use in Daz Studio 4.6. Two styles included, with and without collar. Several textures included plus movement handles. Textures created using Richard Hasletine's double sided Shader. Thank you... will work great with my project!